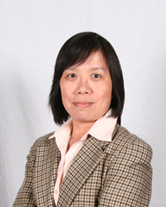 Dr. Chiayu (Joyce) Huang is a medicinal chemist with more than 15 years of experience in drug discovery, including hit-to-lead and lead optimization. Dr. Huang’s experiences span a variety of therapeutic areas which include Metabolic Disease, Oncology, Respiratory, CNS, and Anti-inflammatory. Dr. Huang joined Venenum Biodesign in May 2010. She designed and set up organic chemistry, analytical chemistry and NMR laboratories, a compound management facility, and a chemical stock room. She also leads a team of chemists to work on the TGR5 lead optimization program in developing a small molecule agonist with minimal systemic exposure. She started her career at Pharmacopeia in 1995. After designing and preparing several large combinatorial libraries using Pharmacopeia’s ECLiPS technology, she managed several lead optimization programs in collaboration with Schering-Plough and Cephalon, resulting in one clinical candidate, and two GLP tox candidates for these programs. From 2009 to 2010, Dr. Huang managed multiple successful Lead Discovery/ Lead Optimization programs in a broad range of therapeutic areas for Ligand Pharmaceutical after the merger of Pharmacopeia and Ligand. These programs were a collaboration between Schering-Plough and Ligand. Dr. Huang managed internal and external resources, coordinating with multiple sites internationally, and achieved four milestones in 2010. Dr. Huang earned a B.S. degree in chemistry from National Taiwan University, a Ph.D. degree in Organic Chemistry from the University of Texas at Austin, and was a post-doctoral research fellow at Duke University. She has co-authored more than 40 papers and patents.